Ebola sprang from one of those blind spots, in an area that lacks the health systems needed to detect an outbreak before it becomes a crisis. Now the Obama administration has requested $600 million for the CDC to implement what it calls the Global Health Security Agenda, working with an international coalition to shore up disease detection in high-risk countries and guard against the next contagion. There’s little doubt there will be a next time. Just in recent years, the world has seen bird flu sicken people in Southeast Asia, the respiratory killer SARS spread from China, the 2009 flu pandemic, growing threats from antibiotic-resistant germs, and SARS’ new cousin in the Middle East named MERS. And what if the next bug spills across borders even more easily than Ebola? If bird flu ever mutates to spread between people, “we better look out. It will make Ebola look like a picnic,” Sen. Tom Harkin, D-Iowa, warned a recent Senate Appropriations Committee as he questioned whether $600 million was enough to do the job. After all, less than 20 percent of countries have reported meeting World Health Organization requirements showing they are adequately prepared to respond to emerging infectious threats. The Obama administration kicked off the global health security project in February at a White House meeting with representatives of more than two dozen countries _ unaware that Ebola already was quietly brewing in Guinea. Additional countries signed on in later meetings in Finland and Indonesia, and again at the White House in September, where President Barack Obama declared the world must “make sure we’re not caught flat-footed” in future outbreaks. For its part in the international collaboration, the U.S. plans to assist at least 30 countries over the next five years to bolster local disease prevention and monitoring, improve laboratory diagnosis of pathogens and strengthen emergency response to outbreaks. Consider Uganda, where in 2010 a lack of a good laboratory system was one reason it took “a shockingly long” 40 days to determine a mysterious outbreak was yellow fever, said CDC scientist Jeff Borchert. Last year, CDC began a pilot project to improve Uganda’s disease detection by piggybacking on a small program that tested babies born to HIV-positive mothers. Now, in a larger swath of the country, motorcycles race samples from sick patients to provincial capitals where they’re shipped overnight to a central lab to test for a variety of diseases. The health ministry also set up an emergency operations center to oversee potential outbreaks. In March, Uganda’s new system proved itself, Borchert said, as the country fought an outbreak of nearly 200 cases of meningitis, using that network for testing of patients in remote areas. And last month, in an another example of its overall preparedness, Ugandan officials rapidly tracked down contacts of a health worker who died of Marburg virus, an Ebola relative, a case that fortunately didn’t spread. CDC has long trained public health workers in various countries to be disease detectives, but the international collaboration is supposed to be more comprehensive. Even before receiving any new funding, CDC started some additional small projects in countries such as India, Thailand, Jordan, Vietnam and Georgia, to expand outbreak-fighting capabilities. Then came Ebola. While the outbreak stalled work on broader global health security, it also increased awareness of the ripple effect that one unprepared country can have. Lawmakers want to know if the U.S. will leave Ebola-ravaged Liberia, Sierra Leone and Guinea with health systems more capable of responding to future outbreaks. Learning to tackle one disease can pay off against another: Nearby Nigeria beat back Ebola thanks in part to its polio-fighting program that included labs and CDC-trained disease detectives who quickly switched gears to the new threat. 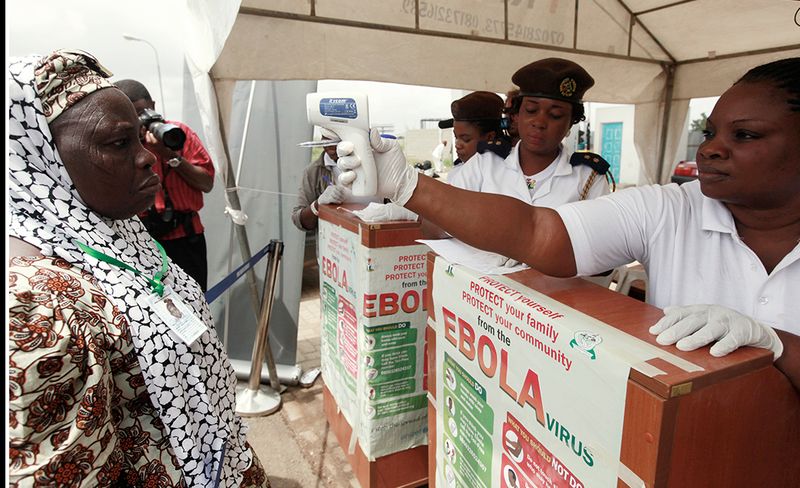 Scary outbreaks often spark calls for better global preparedness that fade as the disease does. “We should avoid a cycle in which we let our guard down once the immediate public health crisis passes,” Rep. Henry Waxman, D-Calif., said last week.